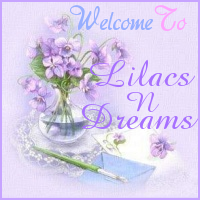 Welcome back to LilacsNDreams, and always happy to see you back, or stopping by to visit. I know, I am a little bit off today...what is new, right? :) Anyways....I have a question for some of you. Which browsers are you using? Do you use Fire Fox, Chrome, IE, or what has been your preference? Now, for the next question. Have any of you downloaded that newer version of Adobe Flash Player? Whew! That thing is throwing hissy fits with me, and not playing nice either. I have downloaded, disabled, tried to restore my computer to another time, and then a few days later I went to the Adobe site, and downloaded the thing again. My problem I am having is that I keep getting them darn boxes popping up saying how it is not working, send a report, stop the program, etc etc. Sometimes it gets so bad I have finally gone into my tools for my add ons for Fire Fox, and disabled. Yes, I forgot to mention I am using Fire Fox for my browser. I have used it for years with never any issues. Security has been great with it, no problems with pop ups, and I have enjoyed it. This Flash Player add on for the newer version is really something else though. At the adobe site they did have a section where everyone was asking questions, complaining, trying to find answers to fix it, etc etc. From what I could read, and remember of it I was given the impression it was with all the browsers everyone was having problems. So, I finally went to ESN, one of the social networks I belong to for my Ecrater Shop. The administrator there is knowledgeable, and has always been able to help with odd things too. I asked her about this issue. She told me how she uses Chrome, it does the automatic updates, an she was not having any issues. Hmmm....I seen others complain about all the browsers, and having issues. So, last night I had come to my blog to work on it, and there were a couple of my plug ins not working for me. My clock, and my Christmas Banner count down. Was working earlier, now it wasn't. So, I went to my Fire Fox add on, and activated the adobe flash player to work again. URGH! There started those darn boxes popping up again about program not working. So, I tried the next thing I could think of...waiting till this afternoon naturally as I gave up last night. I do keep a Chrome browser button on my desk top to use sometimes. Clicked on that, and wouldn't you know. 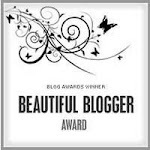 My blog plug ins were doing great, no pop up boxes, and here I am reporting to you all about this issue. So, if you had this issue were you able to resolve it, and make it work for you with the new adobe flash player update? If so, what browser are you using, and what did you do to make it work? As for me, I am using Chrome right now, and unfortunately I might have to keep using it to keep peace of mind with this plug in issue. Thought I would just share a little bit of something down to home a bit, and that we all deal with everyday with the use of our computers, our life lines...LOL:) If you are having issues, or found a work around please do share with us here. I want to thank you for sharing your time with LilacsNDreams. 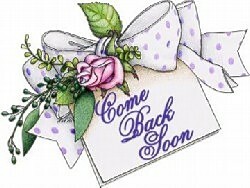 I wish you all well, and hope to see you again soon. Now, for me, back to hopefully some more listings with Ecrater, and Etsy. Take care. and switched to Crome very reluctantly. Whew! Glad to know I was not the only one having an issue, but sure wish I knew of a fix for this as I do like Fire Fox, and have used it for a very long time without any issues till now with this. I find myself switching back & forth at different times between the browsers using them. Thanks for visiting bois-fleurie. Wishing you a very Merry Christmas ! !